New partnership will make it easier for Learnosity users to create standards-aligned assessment content. 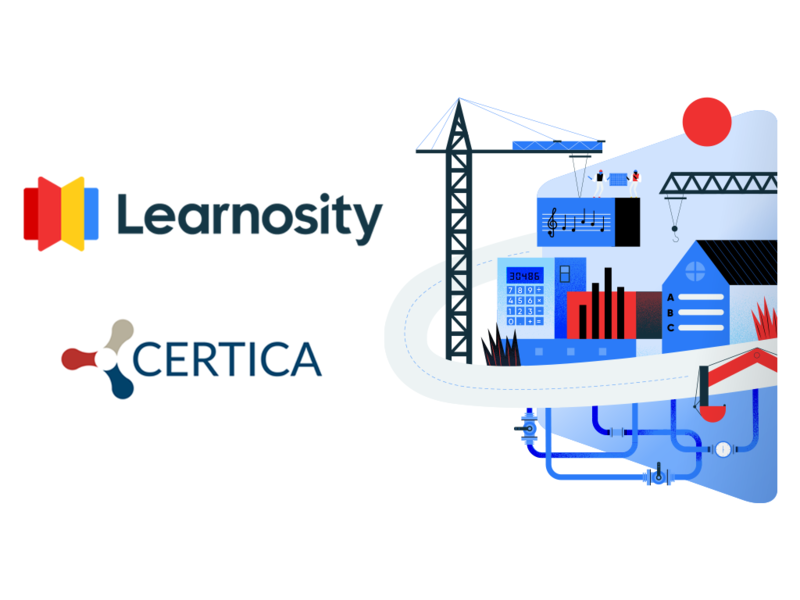 Learnosity has announced it will team up with US-based company Certica Solutions, provider of the Certica Connect™ edtech platform-as-a-service. The partnership will give Learnosity customers seamless access to Certica’s Navigate Item Bank™ of 94,000 standards-aligned test questions. This will make it easier for K–12 publishers and content authors to provide educators with expertly developed test items that are aligned to all states’ learning standards. The extensive item bank covers areas such as math, ELA, science and social studies, and more. Content authors using Learnosity will now be also able to employ Certica’s Academic Benchmarks standards and GUIDs. Academic Benchmarks is a system and repository of more than 4 million digitized learning standards. Its metadata – such as standards text, academic subject, and grade level – will be visible in Learnosity’s item authoring user interface and will be displayed in test item previews and data reports. “With Learnosity’s assessment tools and Certica’s Academic Benchmarks learning standards being de facto industry standards in complementary areas, it made sense to form a partnership and integrate our technology and assessment content,” said Mark Rankovic, CEO at Certica. “The partnership between Learnosity and Certica is a coming together of market leaders in assessment technology that will enable Learnosity users to utilize Academic Benchmarks more seamlessly than ever before,” said Learnosity CEO and co-founder Gavin Cooney. Certica is the innovator of the Certica Connect platform-as-a-service (PaaS) which provides application interoperability and centralized integration, access and enrichment of education data, metadata and content. The company partners with a diverse network of K-12 application and system vendors, as well as publishers, and learning content and assessment providers. Certica also delivers solutions directly to more than 600 school districts and numerous charter school organizations, state education agencies and educational service agencies. Follow Certica on Twitter. Learnosity is a global technology provider that specializes in cutting-edge assessment solutions. As a mission-driven company, our goal is to raise the standard of learning technology worldwide in order to create exciting new possibilities for publishers, product owners, educators, and learners. Learnosity’s powerful API-based assessment tools help digital publishers and products transform the online learning experience for millions of users. Follow Learnosity on Twitter.